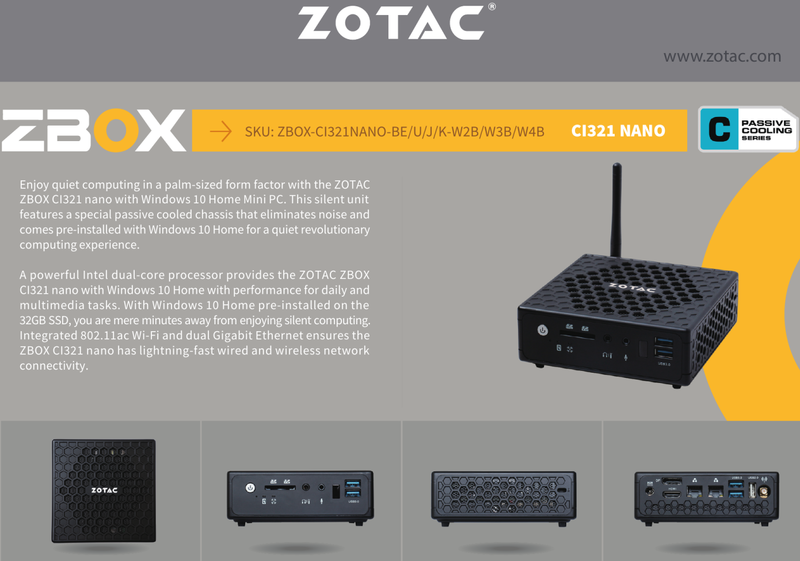 Zotac's CI321 (Celeron 2961Y, 2 cores @ 1.1 GHz, 11.5W TDP) is now available with Windows 10. The latest OS from Redmond comes preloaded on an embarrassing 32GB SSD. The CI321 with Windows 10 Home is already appearing in Canada for about $320. 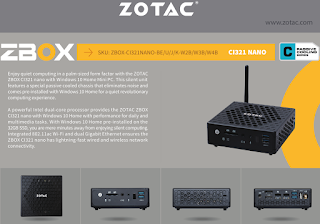 We would rather buy the barebone version ($152), our SSD of choice, and a less inquisitive OS. To each his own.